A. Walter Dorn is Professor of Defence Studies at the Royal Military College of Canada (RMC) and chair of the Department of Security and International Affairs at the Canadian Forces College (CFC). 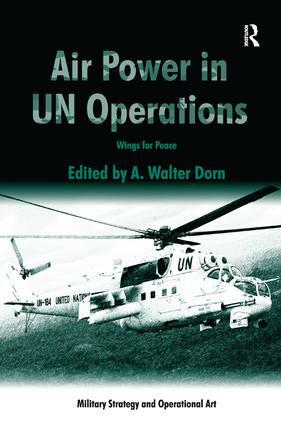 As an 'operational professor', he has visited many UN missions and gained direct experience in field missions. He has served in Ethiopia as a UNDP consultant, at UN headquarters as a training adviser and as a consultant with the UN Department of Peacekeeping Operations. He has provided guidance to the UN on introducing Unmanned Aerial Vehicles (UAVs) to the Eastern Congo.